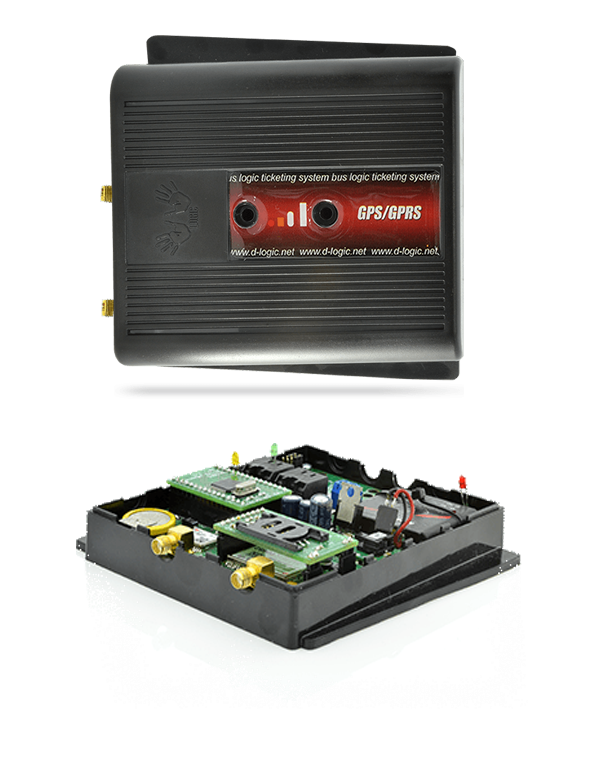 BusLogic GPS/GPRS module is fully developed and manufactured by the D-LOGIC development team. It is the result of years of experience derived from the analyses of the issues existing on similar devices present on local as well as global market. The device is designed to meet automotive application, which means that it is designed to work in outdoor conditions of a wide temperature range. The basic functions of this module are collecting and storing geographic coordinates via GPS and transmitting them to the central D-LOGIC server via GSM / GPRS. This device allows you to view current position of the vehicle, current speed as well as graphical logs of the vehicle`s whereabouts, including acceleration and braking forces. BusLogic Contactless Reader (BLCR), the purpose of which is to keep track of drivers operating the vehicle. BusLogic Concentrator (BLC), which brings the possibility of all BusLogic devices in the bus, which are connected to the BLK, have a connection to the Internet through DLM via GPRS. 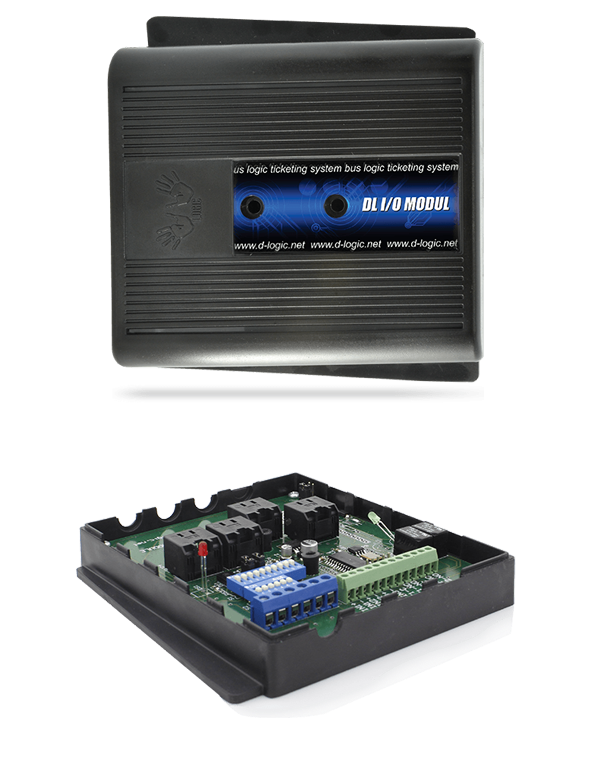 BusLogic I/O Module (BLIO), which compiles and transmits parameters such as engine rounds per minute, fuel level, engine temperature, etc. An independent GPS receiver with data storage. GPRS transmitter, quad-band GSM (850/900/1800/1900 MHz. Possibility of connecting up to 4 different GSM card (solving problems with roaming and substantial phone bills). Internal real time clock and keeping track of information about satellite positions using a special internal batteries. Independent microcontroller system with its own memory to store information of the BUS LOGIC ticketing system based on D-LOGIC OS. Upgradeable operating system and firmware via modem over the Internet (Online firmware change). Supports communication with BLC control unit with the ability to upgrade the operational program. Supports communication with BL I/O device with the ability to upgrade the operational program. R5232 port on RJ45 connectors. Operating voltage range of 12V-30V. Protection against voltage greater than 30V. Operating temperature: from -30°C do +85°C. BusLogic Input / Output moduleis a device used for analog and digital vehicle parameter reading. This device can read all the analogue data from all of the older vehicles (buses and trucks) about the current number of engine RPMs, fuel tank level status, engine temperature, vehicle door positions, position of trailers etc. In addition to analogue signals the device also supports digital readings over the CAN protocol. All information that BLIO module receives, either analogue or digital, are transmitted to the BLM module via GPRS that further transmits all stored data to a central server. 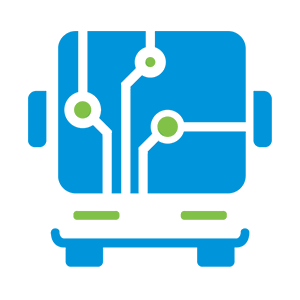 Another function of this module is to remotely run certain events in a vehicle such as closing doors, powering on displays or monitors, etc. With the assistance of BLM, the BLIO module sends the information about a particular event that occurs inside the vehicle. One of the main features of this option is to change the status of transmission from economical driving to uneconomical when the vehicle is to climb a slope and vice versa, shift between urban or interregional drive which enables savings in fuel consumption while eliminating error of the human factor. The BLIO module is very popular with bus transporters, because with the help of this device clients get the information of driving style per driver. Through generated reports, clients can actually see a chart for the driver, how long he drove and in which zone: green-economical or red uneconomical, and how many times he went into the red zone. In this way, the user of the system saves more fuel, thus reducing consumption and increasing profits. What is even more important, all this above extends the life expectancy of the vehicle and reduces the need for servicing. In addition to measuring engine’s RPMs, it is important to highlight measuring of the fuel level in the reservoir and device’s ability to alarm the user if there is a drastic fall in the level of fuel in the reservoir for a short time, usually caused by unauthorized extraction of fuel from the tank or a major vehicle malfunction – either requiring user’s attention. Also the I/O module can alert users via DLM when a vehicle engine is overheated, or if it has reached the critical temperature. Microcontroller with CAN protocol with the ability to change the firmware and to send data over GPRS module. A special memory for storage of rapid changes due to the lack of GPRS signal. Digital frequency-meter galvanically separated by optocouplers. Digital inputs galvanically separated by optocouplers. RJ45 interface for R5232 communication. RJ45 interface for RS485 communication. RJ45 interface for CAN communication. SPI Interface extension for future extensions, connectors and protocols. Operating temperature: -30° C to +85° C.
Housing made out of self-extinguishing ABS plastic. The device developed and produced in Serbia by the BUS LOGIC team.